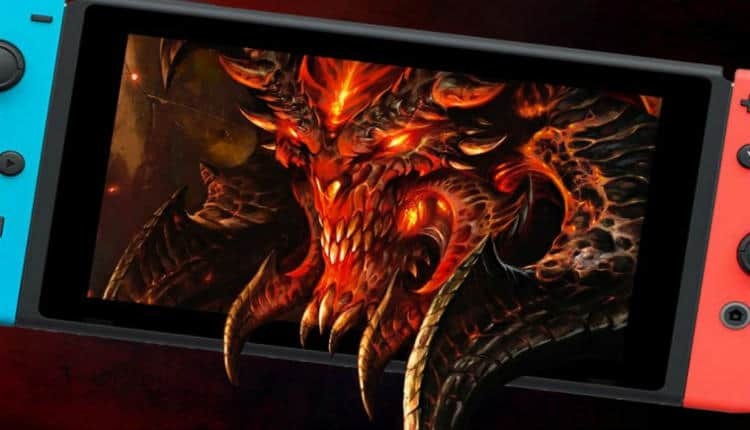 Diablo 3 Reportedly Coming to Nintendo Switch | Nerd Much? Blizzard appeared to be teasing fans last week when they tweeted an short clip of a Diablo 3 demon “switching” on and off. After the tweet went live, the publisher denied anything was actually in the works for the Nintendo Switch, but Eurogamer is now reporting otherwise. Fans, perhaps reaching a bit, began chattering with excitement. While there’s nothing direct to take away from the above tweet, publishers don’t make this kind of social media move unless they are attempting to entice fans, right? Well, Blizzard said wrong. So, the dungeon-crawling, action RPG is not hitting Nintendo’s hybrid? Not so fast, says Eurogamer. The outlet took it upon themselves to investigate the suspicious tease. And it turns out, there may be merit to it after all. Blizzard isn’t shy about teasing future projects and updates with its fans. Nintendo, however, is not. It may be that the latter had plans for a grand reveal of the big name franchise hitting the Switch. And that Blizzard pulled the curtain back prematurely before Nintendo could announce the collaboration within a Nintendo Direct or something similar. Regardless, it sounds like Diablo 3 is indeed hitting our Switch’s sometime soon. We’ll hear more about it whenever Nintendo and Blizzard are ready to share.